The Day of the Doctor was a brilliant celebration of five decades of Doctor Who. While involving all of the living actors who had played the Doctor proved to be too daunting a task, it did include a brilliant cameo by Tom Baker, the one who played the time lord the longest, and still found countless other ways to honor the show’s long legacy. The crux of the whole special, however, was centered on a “forgotten” Doctor, a “War Doctor” (John Hurt) — one retroactively dropped into the continuity between Paul McGann’s Eighth Doctor and Christopher Eccleston’s Ninth. A transitional Doctor bridging the gap between the 1996 Fox Who TV movie and the “modern” run of the show initiated by Russell T. Davies in 2005. But if executive producer Steven Moffat had had his way — and a bigger budget — “The Day of the Doctor” would have also paid tribute to another forgotten Doctor, one who exists outside the canon of the show. One played by Peter Cushing. 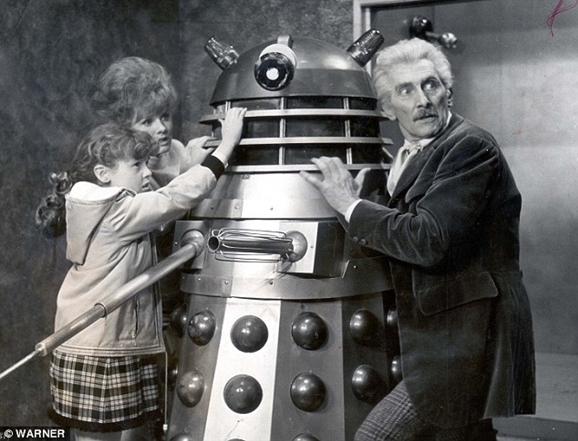 As with the First Doctor played by William Hartnell, Cushing’s Doctor — actually named Doctor Who — is a grandfatherly sort, although he’s a bit less curmudgeonly than Hartnell’s take. He still travels through time and space, he still has companions, and he still has a time machine that looks like a police box. It would be tricky, however, to work him into the continuity of the show (although I wouldn’t put it past Moffat given how adept he’s proven at rejiggering long-established elements of the show’s mythology). But Moffat did, apparently, want to at least acknowledge Peter Cushing’s adventures in the TARDIS during the 50th anniversary special, but he was foiled a foe even the Doctor couldn’t help defeat: money. 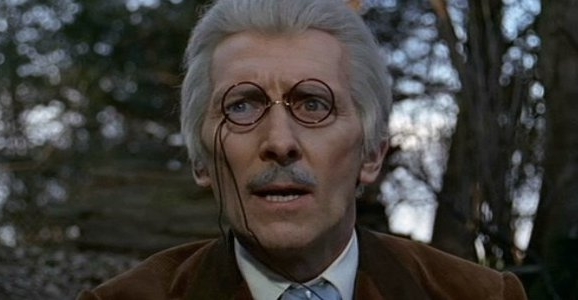 When I started writing The Day of the Doctor I knew I wanted every Doctor to make some sort of appearance… But what about Peter Cushing? Now I love those movies… but they don’t exactly fit with the rest of the show, do they? … You remember that line, in the Black Archive, when Kate is explaining about the need to screen the Doctor’s known associates… She wasn’t supposed to be looking at the Vortex Manipulator — originally she was walking past the posters for the two Peter Cushing movies. In my head, in the Doctor’s universe those films exist as distorted accounts of his adventures… Sadly we couldn’t afford the rights to the posters. It’s a shame that the chance to acknowledge one of the show’s peculiar offshoots was foiled by cash. Hell, you’d think that whoever owns the rights to those films would have seen it as an opportunity to get some notoriety and maybe re-release the movies for the fans who didn’t know about them before. That would of been a nice nod. If whoever owns those rights lost this opportunity because they wanted too much money, they need to get out of the business of making money. Now. Because they are not very good at it. Good way to explain it… those were movies based on the Doctor’s legend.